Venezuela said today it has asked Interpol to arrest an opposition politician exiled in Colombia and accused of involvement in an apparent attack against President Nicolas Maduro. 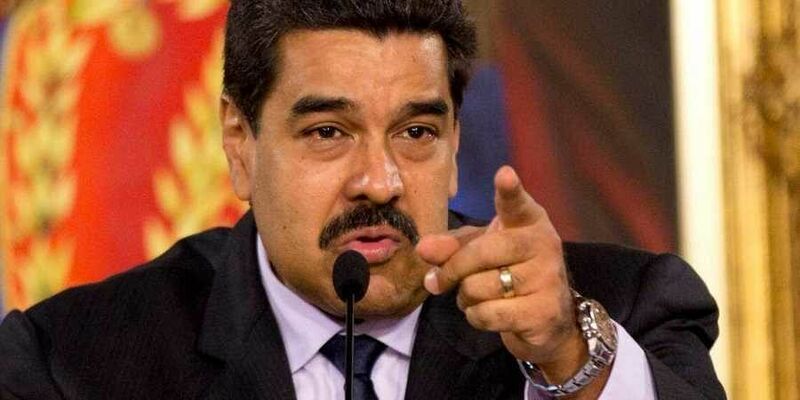 CARACAS: Venezuela said today it has asked Interpol to arrest an opposition politician exiled in Colombia and accused of involvement in an apparent attack against President Nicolas Maduro. "We are seeking code red for Mr.
Julio Borges," Communications Minister Jorge Rodriguez said, referring to the former speaker of the National Assembly. The request for an Interpol red notice -- calling for police in another country to locate and provisionally arrest a suspect wanted in another -- follows what Venezuelan officials said was a drone assassination attempt on Maduro last weekend. Two drones packed with explosives flew toward Maduro as he was attending a military parade in Caracas, officials said. When a detonation occurred, soldiers were seen running away in panic. Authorities have detained several suspects whom they accuse of involvement with support from neighboring Colombia and from unidentified figures in the United States. One of those detained is another opposition lawmaker, Juan Requesens, who was seized by intelligence officers at his home this week. Today, Maduro's government said Requesens had admitted to having communicated through a message service with another arrested suspect, retired soldier Juan Monasterios, who has allegedly confessed to participating in the attack. Rodriguez presented a video excerpt in which Requesens is heard telling a prosecutor that Borges had asked him to smuggle Monasterios into Colombia. The Constituent Assembly, a powerful super-legislative body of Maduro loyalists created last year that has arrogated powers from the opposition-dominated National Assembly, on Wednesday stripped Borges and Requesens of their parliamentary immunity so they can be put on trial. Borges and other opposition figures accuse Maduro of using the drone incident to step up repression.